Homes for sale in Rolling Ridge, a neighborhood of Simpsonville, KY, are displayed below and updated daily from the Louisville MLS. It's not too often someone wants to move out of this quaint little neighborhood conveniently located off I-64 in Simpsonville, Kentucky. However, when they do, the home is priced right the houses sell fast! This family friendly neighborhood features rolling hills and is within minutes of the Outlet Shoppes of the Bluegrass, Shelby Trails Park, the beautiful Beckley Creek Park of the Parklands of Floyds Fork, the Univerisity of Louisville Golf Club and the popular Claudia Sanders Dinner House. For your convenience, register for a free account to automatically receive email listing alerts whenever new homes come on the market in Rolling Ridge that match your specific criteria. 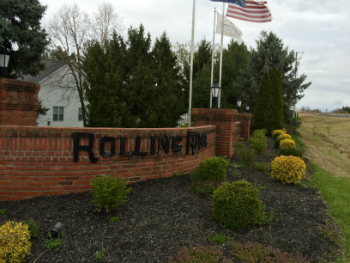 SELLING YOUR ROLLING RIDGE HOME? If you are planning on selling your Rolling Ridge home, and would like to determine the value, click here.